People who know me, know that I absolutely love all things saltfish. My favourite fried rice is Chinese Saltfish Chicken Fried Rice (Ham Yu Gai Lup Chow Fan.) 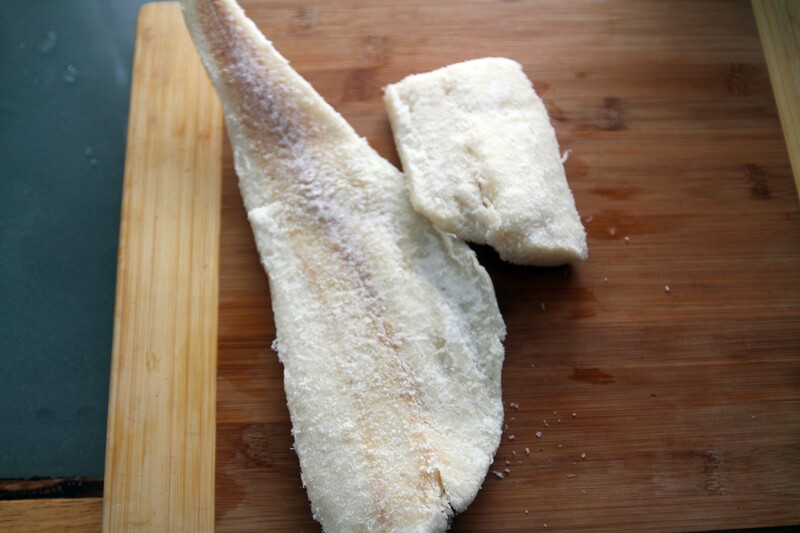 When I go to Chefe Daniel, I love his Salted Cod (Bacalhau.) 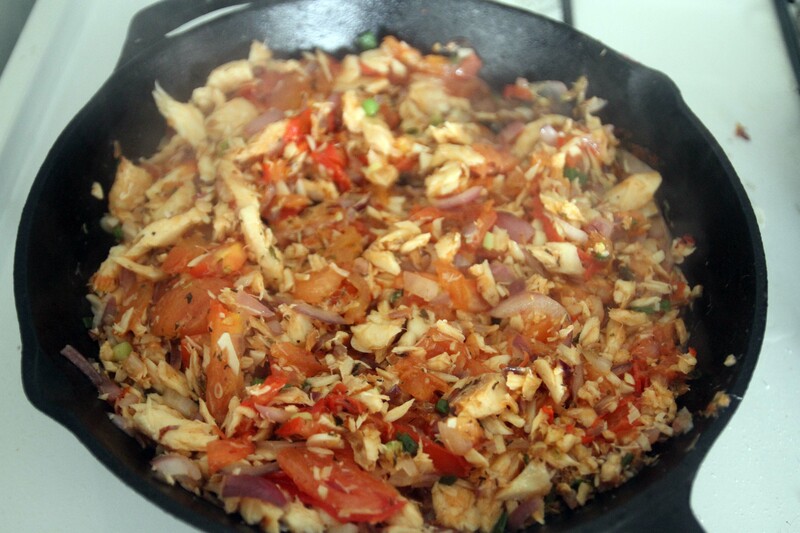 When we got married in Jamaica, I searched for Ackee and Saltfish. What makes this even odder, is that I generally dislike salt, and don’t cook with it! Saltfish is a whole other ballgame though. 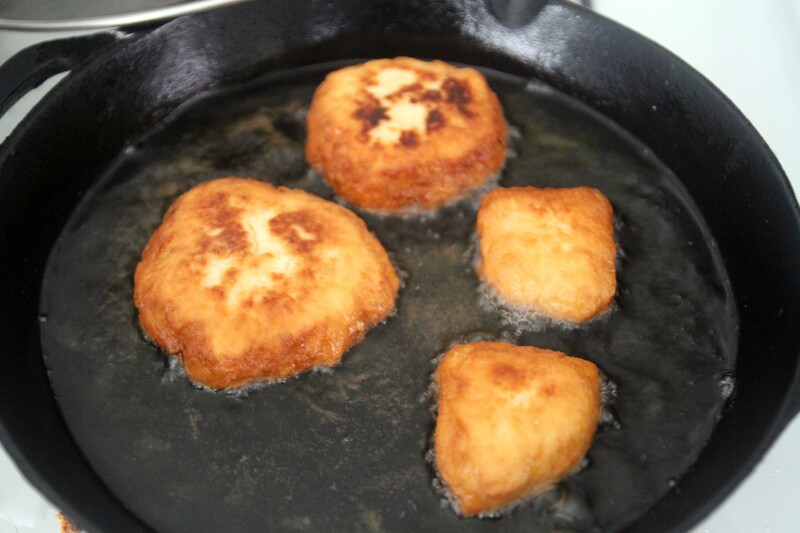 Fry Bake is simply sweet dough that has been pan fried in oil. 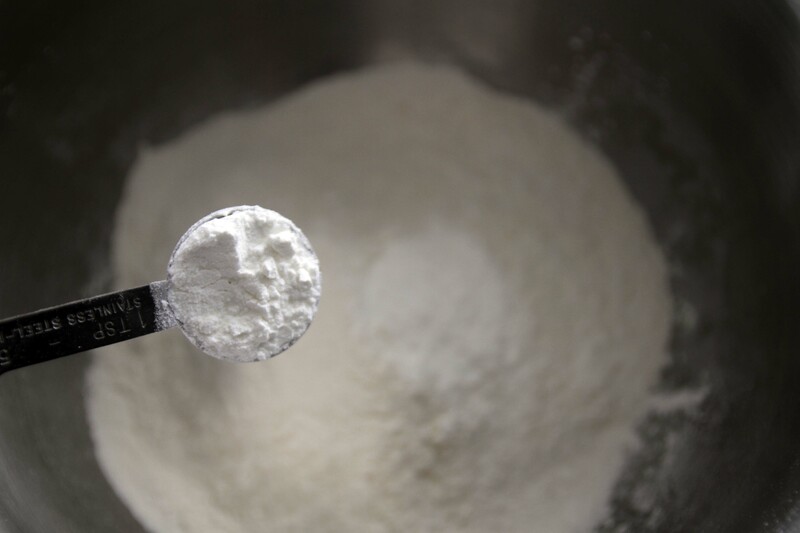 If you’ve ever made any dough before, the procedure is pretty simple. 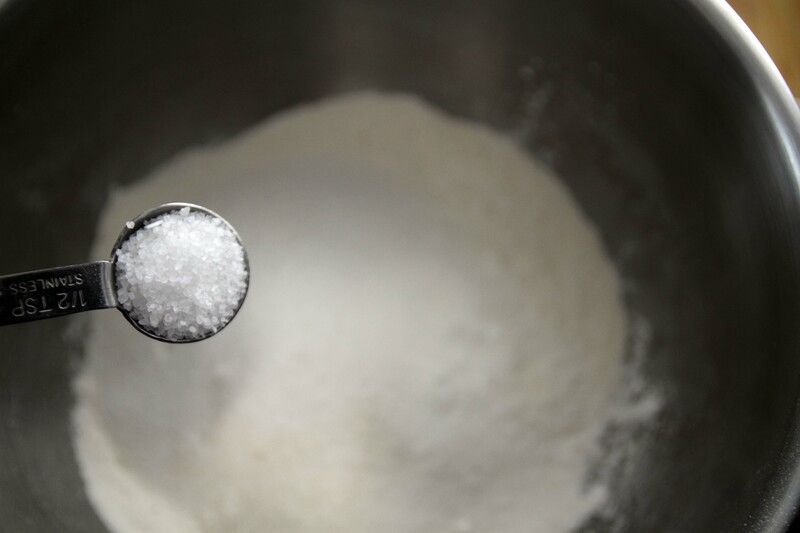 Measure out your 3 Cups Flour. 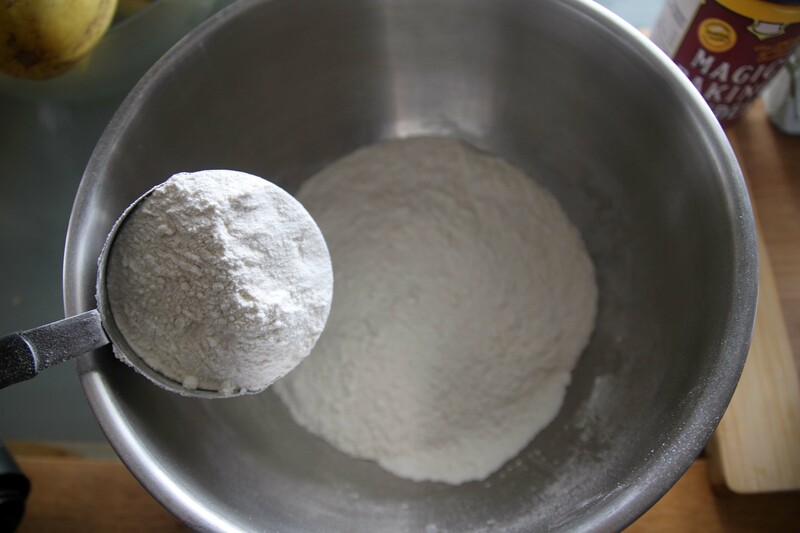 Add in the 2 teaspoons Baking Powder. 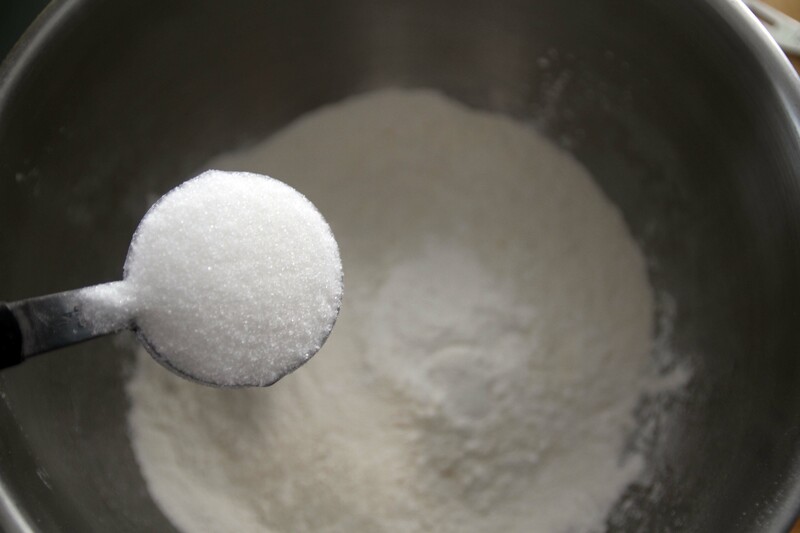 Next goes the 1/3 Cup Sugar. 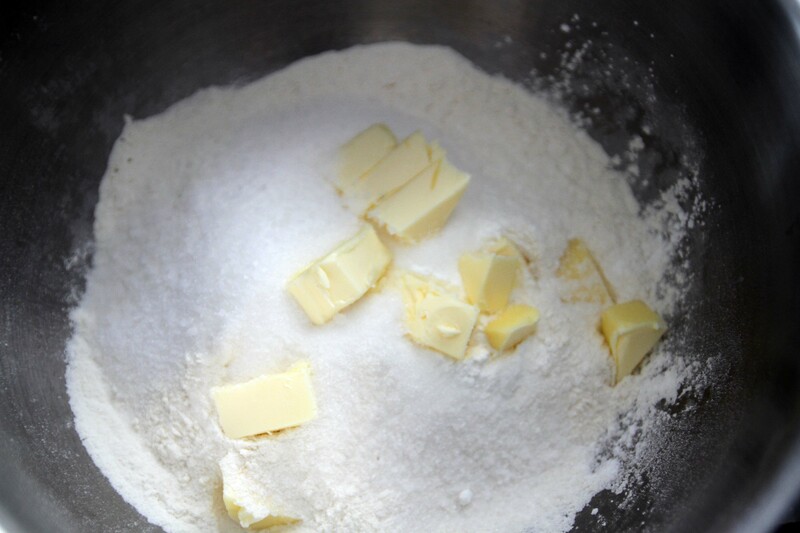 Cut up the 1/4 Cup Butter, and then work it in with a fork. Make a well in the middle, and slowly add the Water. 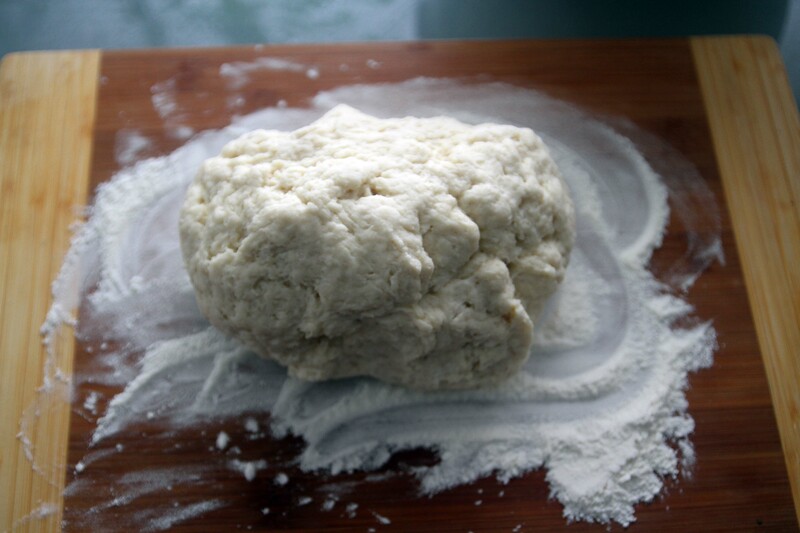 Knead it into a dough. Add water as necessary. 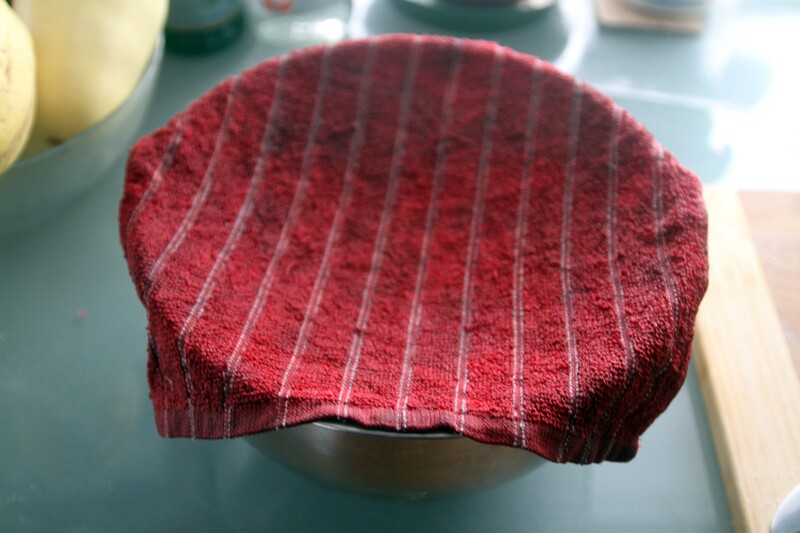 Cover with a damp cloth for at least 30 mins to let it rest, and rise. 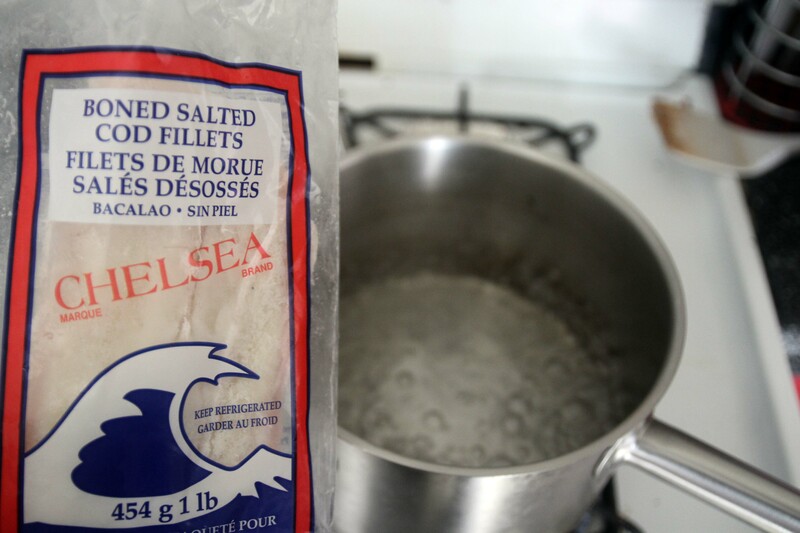 Now would be a fantastic time to start making the Saltfish. 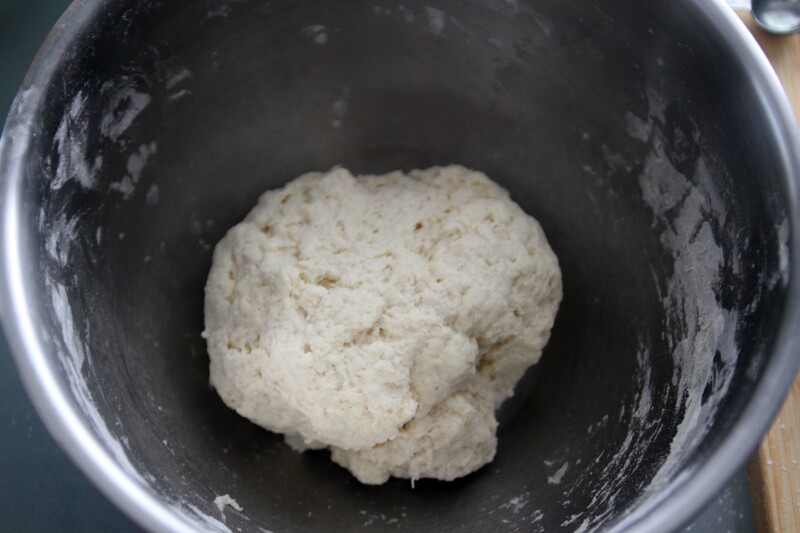 It should take about 30 mins to make, which would perfect time to come back to this dough. 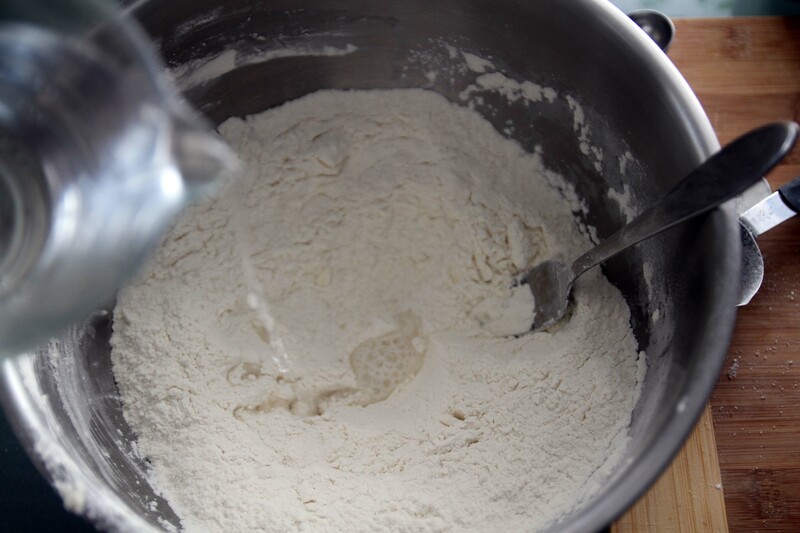 Flour a surface, and separate the dough in half. Roll each half into a log, and cut into equal pieces. You’ll get between 10-12 pieces. 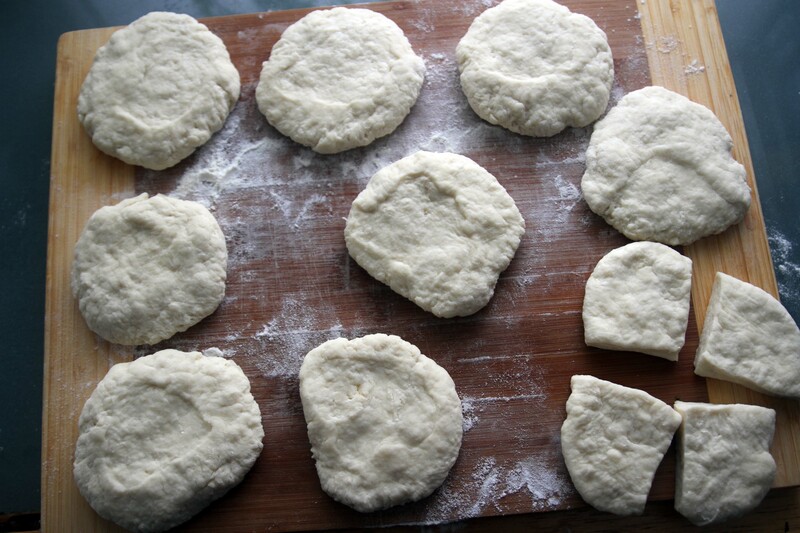 Flatten each piece down into a circle. If you want, you can create any shape you want. For snack size pieces, cut each into quarters. Heat up your pan with oil. Make sure it’s not too hot, and not too cold. With my cast iron pan and gas stove, I set it to about 3/4 power. 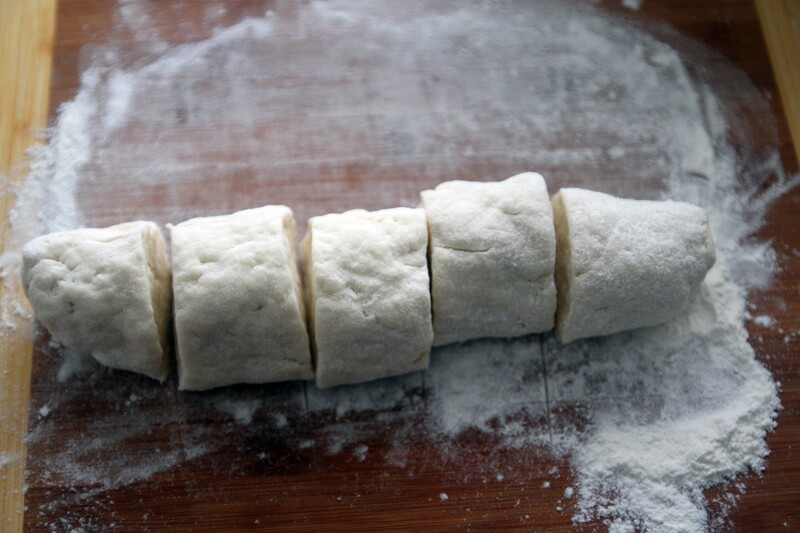 Add in your pieces of dough. Flip ’em when they are golden brown. If they are still pale, it’s not ready yet. 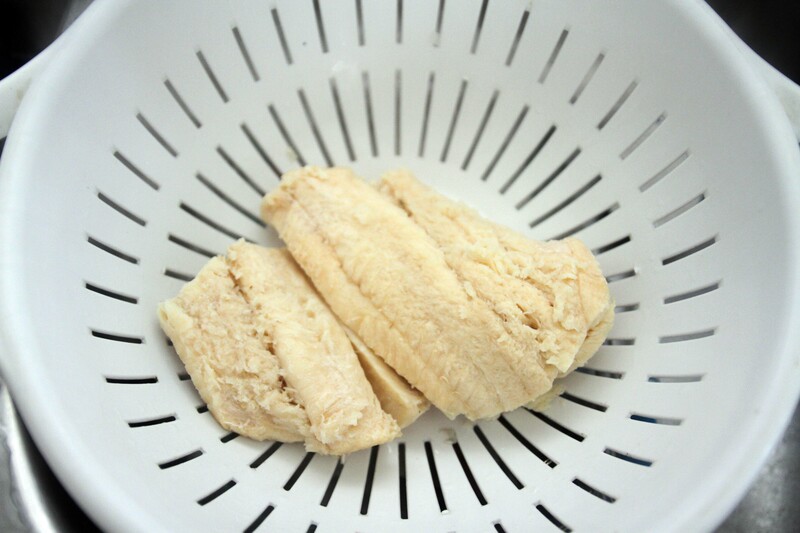 When they are done, place them on a paper towel to soak up any excess oil. Boil a large pot of 2 litres of Water. The Saltfish I found at the store was Salted Cod. Place the Saltfish in the water, and let it boil for a solid 15 minutes. 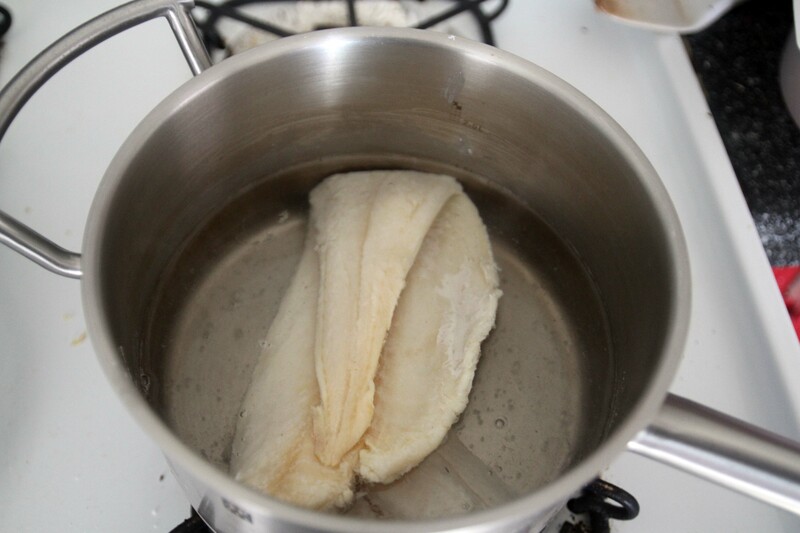 Depending on how salty your fish is, you may need to boil it longer. After it’s had a chance to remove some of salt, drain all of the water out. Place it in a bowl, and start forking it to break it into smaller pieces. 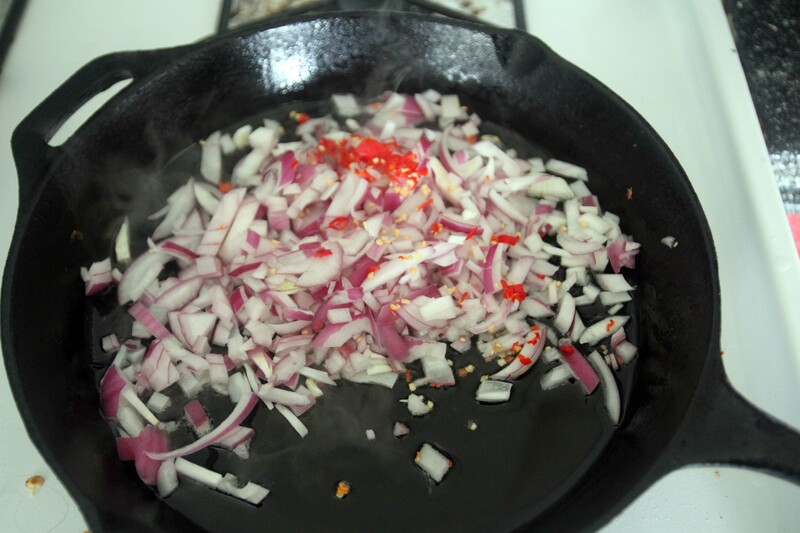 Dice your Onions, and mince the Hot Peppers. 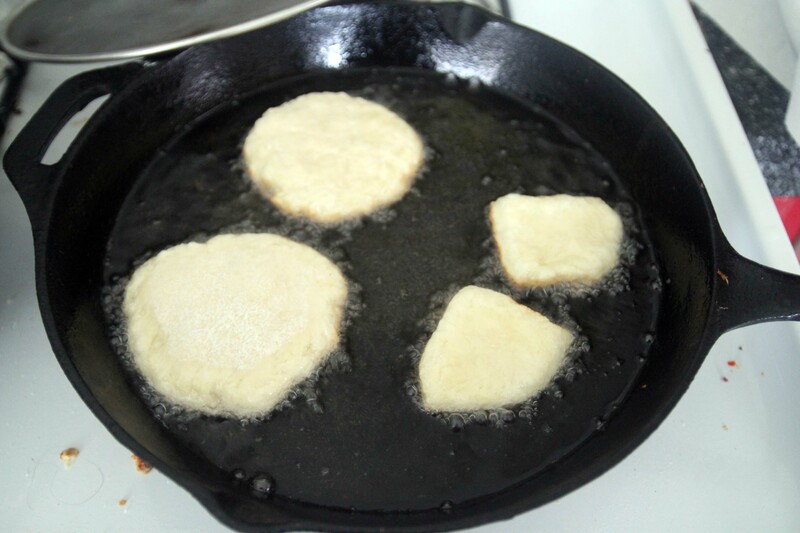 Place them into a frying pan with some coconut oil on low heat. 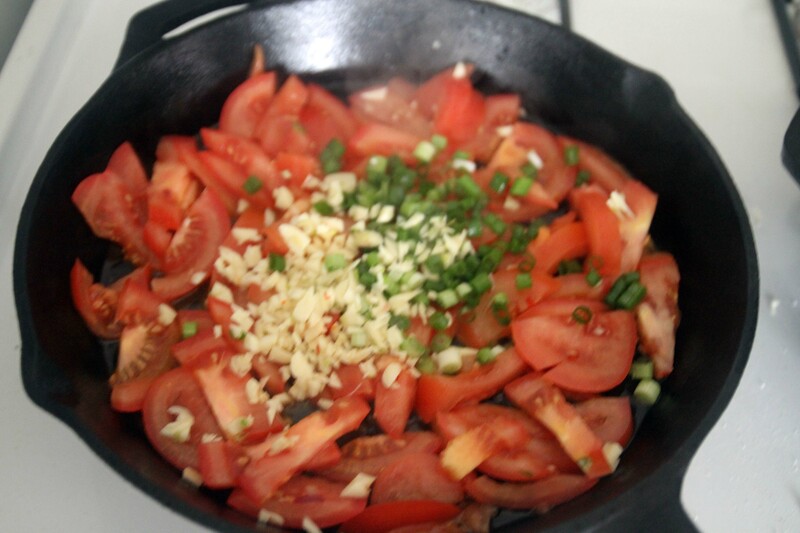 Sautee until lightly browned. 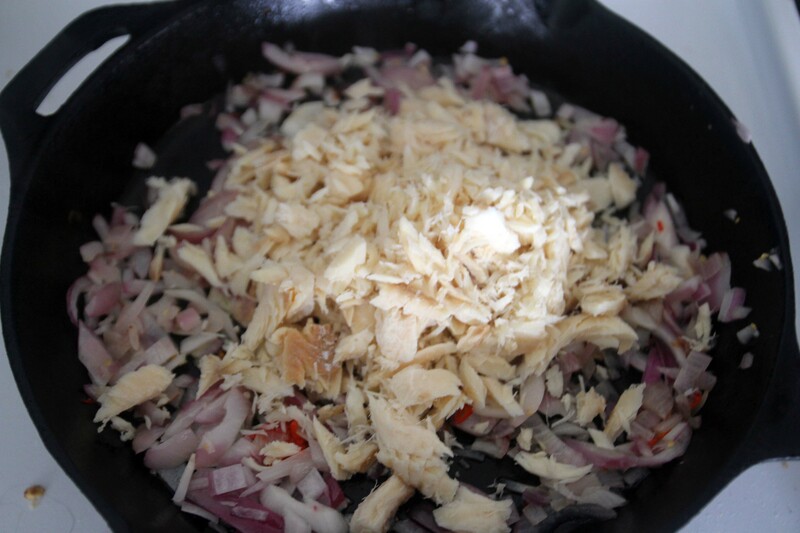 Add in the forked Saltfish. 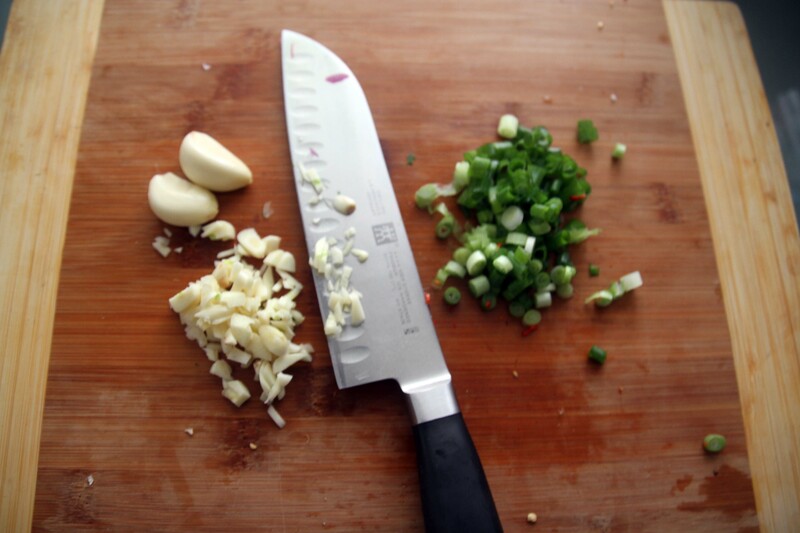 Give everything a stir every few minutes in between prepping the next steps. 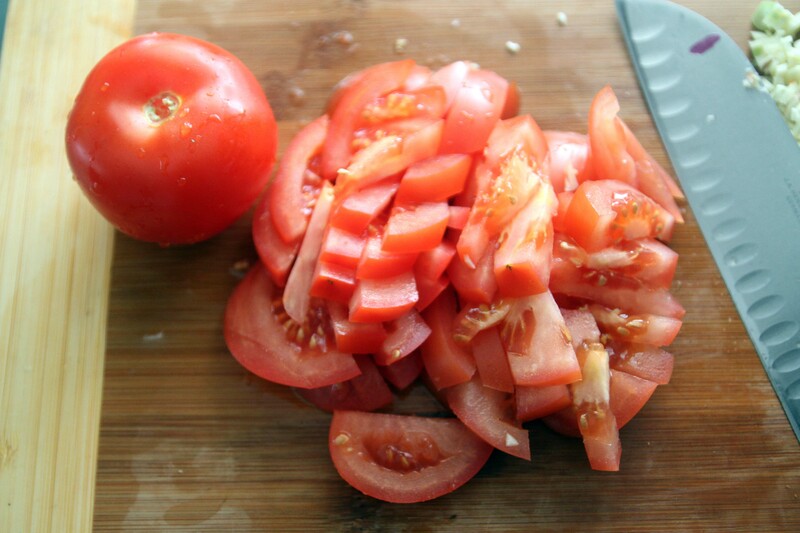 Chop up the Tomatoes, Garlic, and Green Onions. 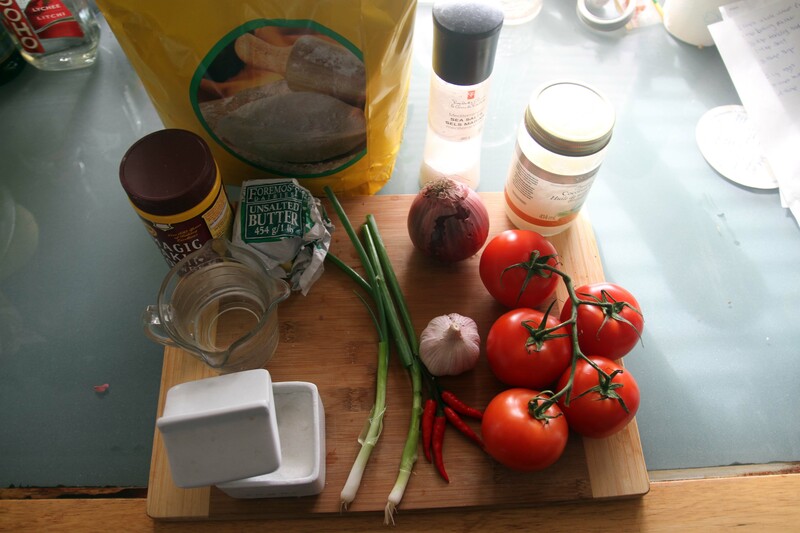 Throw all ingredients into a separate frying pan, and cook down. At this point, you can add in extra spices that appeal to you. 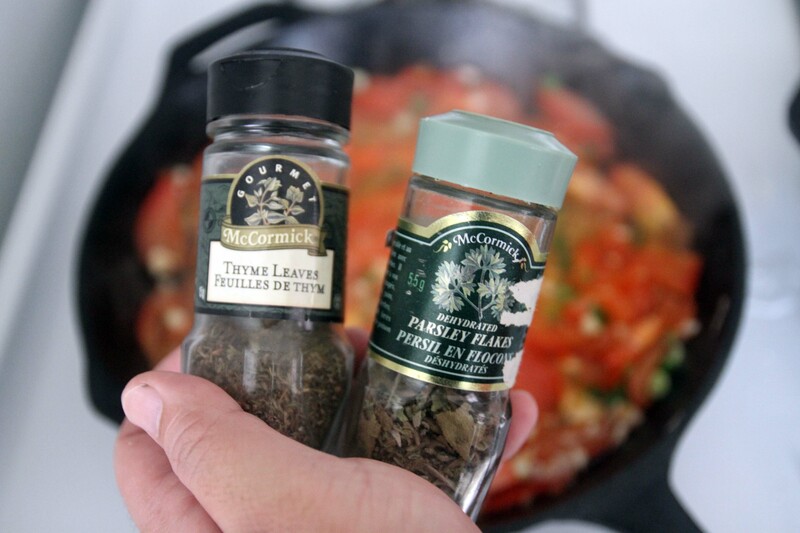 Thyme and Parsley go great with this dish! Keep stirring both pans until each are cooked down separately. Add the two pans together into one when ready. Done! If you took my advice, you should now go back to the Fry Bake, and start frying it up. If you did everything all at once, then stop reading, and go eat! It’s much better hot! 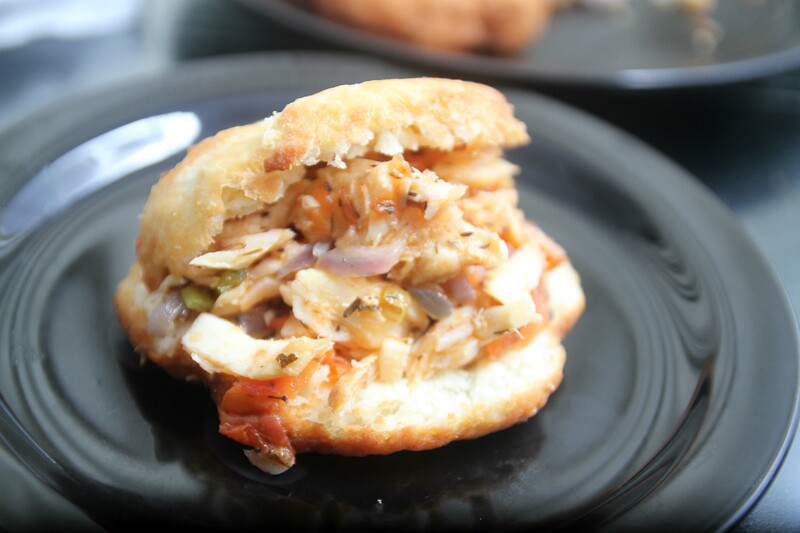 You can eat this any way you like — cut the Fry Bake in half and serve it like a sandwich, or rip off the Fry Bake a little at a time, and scoop up the Saltfish with it in your hands. Ta Da! 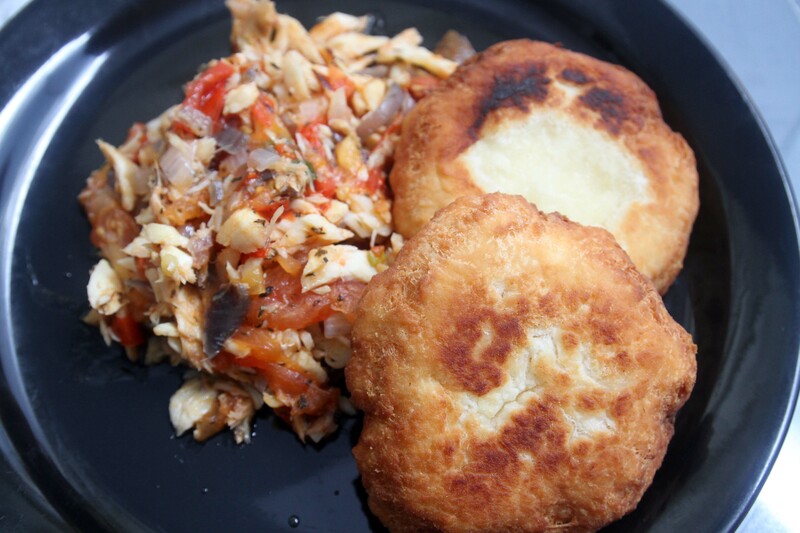 There you have it — Dumb Trini Fry Bake and Saltfish! Satan love you to cook him food that burn with fire. God will sadden from you fake food people. You’re not really from Saint Martin until you eat salt fish! At least, that’s what I read in an SXM cookbook last week. So today, I tried saltfish for the first time. 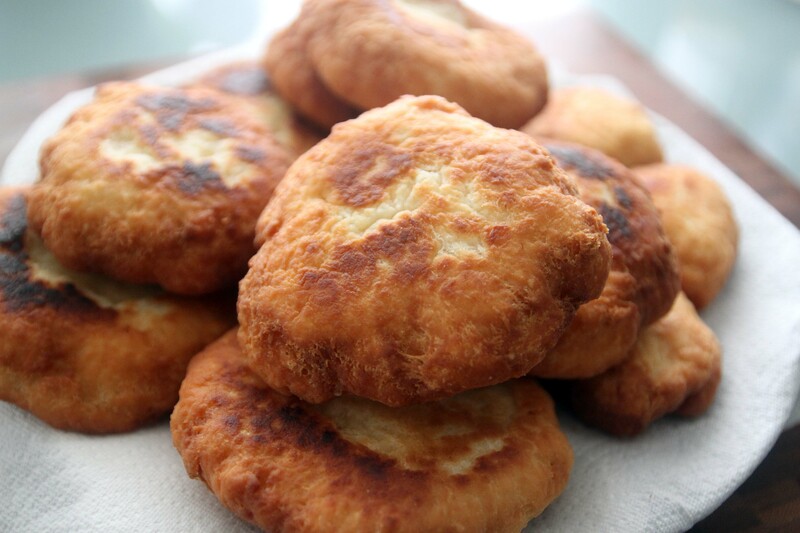 You can be a “real” islander, too, when you try this recipe by Trinidadian blogger CS! I reblogged this! 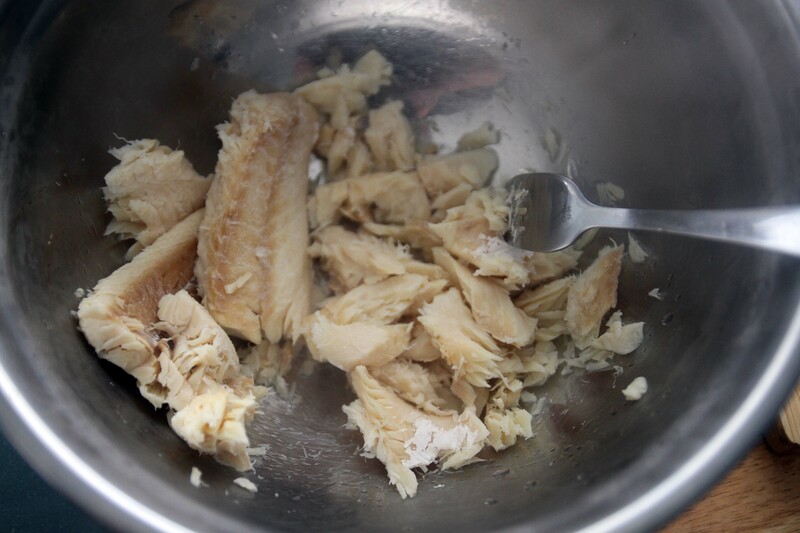 I am an American expat in Saint Martin, and I tried satfish today during our Carnival. Thanks for the recipe!